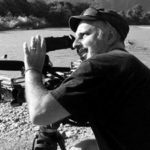 Professor of geography with a PhD in Human Geography and a specialization in multimedia communication, Riccardo Russo is an award winning independent documentary filmmaker and Director of Photography. In over fifteen years of experience in the field, Riccardo has carried out research and documentaries on geographical, socio-environmental and human rights issues in the five continents and has collaborated with NGOs, international agencies and research centers. His works have been distributed in numerous festivals and televisions around the world. Since 2017 he has been teaching Visual Geography at Sapienza University of Rome. For Esplorare la Metropoli he deals with writing and making documentary films, including The Well, Water Voices from Ethiopia and The Remnants, both co-directed with Paolo Barberi.